Based in Germany, telc (The European Language Certificates) currently offer 80 different examinations in 10 languages based on international standards. As a full member of the Association of Language Testers in Europe (ALTE) and quality network EAQUALS, telc is working in close cooperation with test providers across Europe. Besides that, telc are also publishers of teaching and study materials. 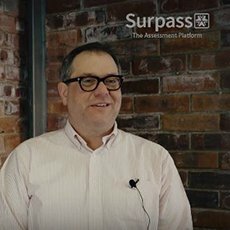 In this short interview, Sean McDonald from telc talks about why this language testing organisation chose to work together with BTL, and how features in Surpass have helped the organisation to start realising their ambition of creating innovative on-screen language tests. Moving away from paper to on-screen testing hasn’t been without barriers, however being able to demonstrate mixed question types suitable for giving candidates a more realistic, engaging experience is extremely beneficial. What was important for telc was obtaining a system that was intuitive, allowing them to create aesthetically pleasing tests to a high standard, and the inclusion of the psychometric reporting tools available in Surpass was also seen as advantageous during the selection process. Operating since the 1960s, telc has built a huge international network of more than 2,000 licensed partners in over 20 countries, with over 13,000 licensed examiners in Europe. Transcript - Innovation in Language Assessments – Sean McDonald from telc. "My name is Sean McDonald, I come from telc Language Tests in Frankfurt, Germany. I’ve been with telc for about six years now, and spend most of my time developing tests. 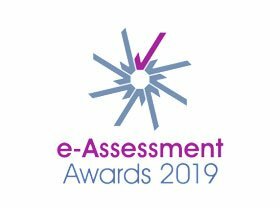 Our first venture into eassessment was quite a few years ago, and we made a very careful first dip into the waters, so to speak. We chose a software back then that was a little bit more affordable I guess is the proper word, to start looking and start learning how to do assessment. Then we have the challenge of developing items and getting things to even work on the interface. You can’t use anything, you have to use a quality product that knows what you’re doing. So we started looking around to find a different partner that could help us achieve those goals. What we’re trying to do, with the help of Surpass and with the help of BTL, is to develop a new line of testing which will one day supplant the older forms. Of course, the main thing was that it has an interface that allows us to develop fairly good tests – good-looking tests. It can allow us to do what they want, but also you have the psychometrics built in, right! We were particularly impressed because you were the only company – and we talked to several different people actually, and had them in for interviews – but you were the only ones that understood testing. You knew what you were doing. I really saw that you understood assessment, and that was quite impressive that you could talk about something and you knew what you were talking about. And it wasn’t “yeah yeah yeah we’ll build it” – but it was already there, it had a proven track record. You could talk about assessment, you could talk about psychometrics, you could talk about items etcetera. doing much more than simply writing a test. So yes, we have been able to do different things and innovative things with the tests that we’re very excited about. It really has given us a wonderful opportunity to be more creative, to look at new ways of testing, and to look at new ways of achieving our goals, and making it more interesting for students and making it much more engaging, which in fact we’ve done. Our student testimonials with this new online test say: “hey, why can’t all tests be like that?" To see more case studies and videos from BTL Surpass, please contact marketing@btl.com or click HERE to be redirected to their site.